We know that the opportunity to tour is the most rewarding learning experience a music student can have. In 2018, the University of Melbourne Symphony Orchestra embarked on its very first international tour to Asia. Student cellists performing with the University of Melbourne Symphony Orchestra in Hamer Hall, Melbourne. Image: Sav Schulman. 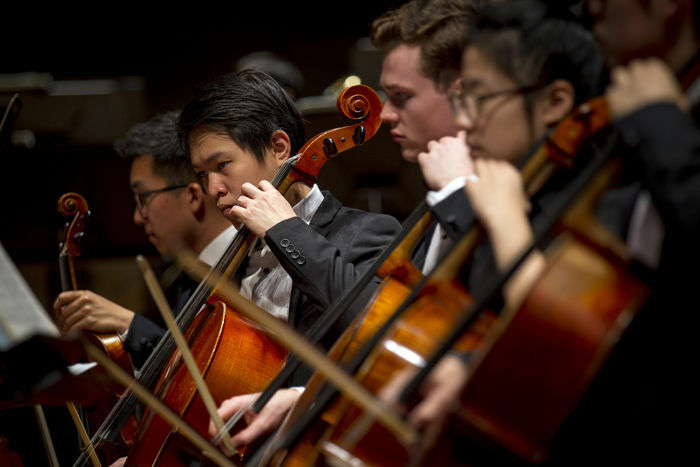 The 2018 Asia Tour marks the very first time in its long history that the University of Melbourne Symphony Orchestra has toured internationally. This tour provided outstanding professional development opportunities for our students, including unique cultural experiences and the challenges and rewards of rehearsing, travelling and performing to new audiences. Would you like to receive news, invitations and information about the University of Melbourne Symphony Orchestra? Sign up to our mailing list.